Kellogg, Berkeley/Haas, Chicago Booth, Duke University (Fuqua), Harvard, LBS, LSE, Loyola Marymount (LMU), Oxford/Said Business School, MIT Sloan, NYU/Stern, Stanford, UCLA/ Anderson, University of Virginia (Darden) and Upenn (Wharton) and University of Michigan-Ann Arbor (Ross). Note: the day is Wednesday instead of Tuesday this month and the recent addition of Oxford/Said Business School represented by Ka Wai Ho kawaiho@gmail.com. Also this month there is a cover charge and included food. 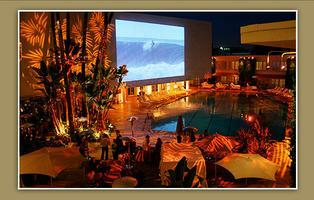 The June Happy Hour is poolside at Trader Vic's in the Beverly Hilton at Wilshire/Santa Monica Blvd in Beverly Hills. Networking, Delicious appetizers and Drinks by the Pool! This is a fun and stress-free way to extend your network and learn what your peers are up to in the LA area. Cost: $20 in advance/$25 at the door. Appetizers included. Cash bar for drinks. This is a Kellogg Alumni Club of Los Angeles event.